I received this book in exchange for an honest review from the author. I've been kind of busy lately so it took me a long time to get around to writing this review. Summary (from here): When retired family doctor Sam Moore’s old girlfriend is murdered in a local hotel, the police suspect his involvement. The coroner, a former med school colleague whose husband is about to desert her, reveals that she had a crush on Sam in med school. When she is strangled the next day in her own morgue, Sam is once again in the hot seat. Sam’s world falls apart when he returns home to find a family member killed in the laundry room, stabbed with his own garden shears. Rocketed into a world of denial and temporary insanity, Sam faces his worst fear, and is locked up in the very same psych ward he was in when his brother Bill died fifty years ago. Sam is determined to ask his long dead brother to help him. 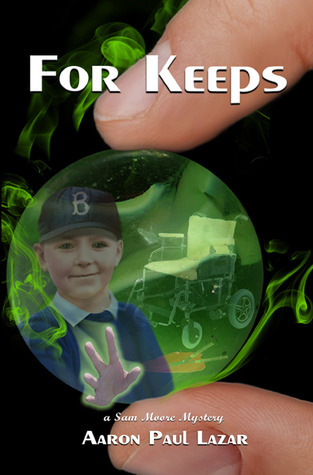 Billy, who communicates through a little green marble, has the ability to propel Sam through time and has helped Sam unwrap baffling mysteries in the past. Sam’s plan: to change time, and bring his loved one back to life. My Thoughts: This is a pretty good book. Firstly, I was a bit worried that I was reading the third book in a series without having read the first two, but it didn't matter at all. The writer has made this perfectly clear for anyone who is new to the series. It might as well be a standalone novel. 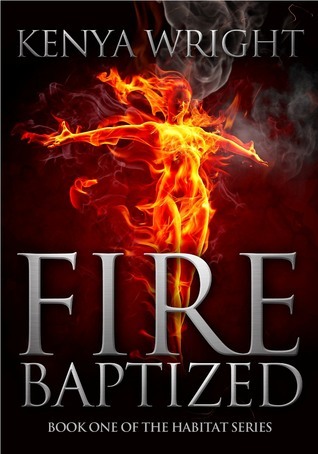 To tell you the truth, I didn't know what to expect from the book and was pleasantly surprised. I am not really the biggest fan of mysteries and was very glad that this book is anything but a typical mystery. At the beginning, I can't quite explain why, it seemed like the writer was trying too hard to impress. The writing style took some time getting used to. However, the plot is fast paced and action packed and right from the very first page, the author dives into the story, revealing chunks of background information as we go along. The characters were great; one problem I had with the book was that they characters were, perhaps, too developed, if there is such a thing. Sam was too likable and a bit unrealistic, but maybe that's just me. I loved the element of time travel. Anyone who has ever lost someone can relate to that feeling of helplessness and urge to bring back whoever's lost, it's a feeling that just haunts you. And to be able to go back in time and stop a tragedy is a fabulous idea. This is usually where I recommend a book to fans of that genre. But I have no idea what category a book that deals with love, sadness, loss, the supernatural, suspense, murder and gory stuff all well combined together falls into. So I'm just going to recommend it to anyone looking for a quick, engaging read. Grab your copy here! I read I Am Legend about a year ago and loved it, which makes me wonder why I waited so long before reading another one of Matheson's books. 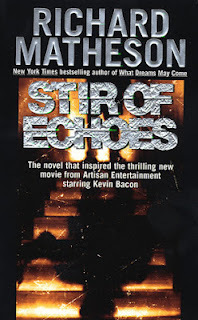 A Stir of Echoes by Richard Matheson is a horror novel and is a great book. I haven't seen the Kevin Bacon movie, but I've heard the book isn't as obviously freaky as the movie. It's creepy, though, and something I would recommend to a first-time horror reader. Summary (from here): Tom Wallace lived an ordinary life, until a chance event awakened psychic abilities he never knew he possessed. Now he's hearing the private thoughts of the people around him - and learning shocking secrets he never wanted to know. But as Tom's existence becomes a waking nightmare, greater jolts are in store when he becomes the unwilling recipient of a compelling message from beyond the grave! My Thoughts: You know how so many people say that they wouldn't believe in ghosts until someone proved they exist. Or until they saw one themselves. If I did see, sense and feel an actual translucent ghost someday, I will be shocked, of course, initially. But if I see it again or more closely, if I'm more prepared the next time, I might even believe it exists. We trust our basic senses too much. It is quite believable, that my first thought on witnessing something seemingly paranormal would be to wonder if it exists, rather than wondering if I've lost my mind. After a while it would just stop freaking out my conscious self. When our narrator sees what seems to be a ghost, he doesn't spend too much time convincing himself it's a hallucination. He just knows. I loved that reaction, you hardly ever get to read it, but it seemed to me the most convincing reaction to a supernatural experience. He doesn't readily question his sanity, instead he decides he has stumbled across the proof for the afterlife. He consciously decides to find ways to avoid encountering this ghost, he wonders and thinks about it, he actively tries to find out more about it. The only time the apparition truly haunts him is at night, in his dreams. I tried to joke but it was a mistake. "What's the matter," I said, "do you have something to hide? Maybe a-"
"Everyone has something to hide!" she burst out. "And if they couldn't hide it, the world would be in a lot worse mess than it is." The telepathy was just as wonderfully dealt with. I used to think that Stephen King describes what goes on in people's heads most convincingly, but reading this book makes me wonder if he overdoes it. The way his wife reacts when Tom begins to recognize her thoughts is perfectly believable, and more importantly, so is the way Tom begins to react to the people around him. What seemed like a power at first begins to be a burden. He becomes a victim of people's deepest, darkest secrets: just imagine how that would be like! What I loved the most is that even knowing people's emotions doesn't give him what he needs to uncover the truth. The more I thought about it, the more correct it seemed: Tom knew what everyone felt, but not what they intended to do with it. It is very hard to figure out, don't you think, which emotion binds with which action. You can't know someone's every move by knowing their feelings, it is so much more complicated than that! And the author has managed to make it work perfectly realistically in this book. The focus is more on the people than on the scenery or the atmosphere. I could relate quite easily to Tom, the narrator, which made the book even more enjoyable. The characters may seem stereotypical at times, but I feel, that sometimes cliches do work. As they say, they are cliches for a reason. The book feels spooky when the narrator himself is spooked, there are no monochromatic images in the mirror, creaking doors and scratching sounds on windows. It is not the classic horror tale, in that it is not too gory or gruesome and it is not overly descriptive. But it has its moments, subtle but effective: times when you feel absolutely terrified, wondering what's about to happen. The suspense builds up beautifully and the mystery draws you in well. If you like thrillers, mysteries and subtle horror, this is the book for you. Summary: Our unnamed narrator, an American grad student living in Paris, chances upon an old manuscript, and the reference to "luperal temples"catches his eye - "lupa" being Latin for wolf. The manuscript, which he calls "the Galliez report", is the defense at the court-martial of Sergeant Bertrand Calliet, the eponymous werewolf. His research leads our narrator to the sad story of Aymar Galliez and his strange nephew Bertrand. "The vast strides of our generation in the conquest of the material world must not mislead us into thinking that when we have plumbed the physical world to its depths we shall thereby have explained all there is to explain. The scientists of a former day strove mightily to fathom the depth of the spiritual world and their successes and conquests are all but forgotten. If today the lonely traveler can walk fearlessly through the midnight shadows of the silent forests of France, is it because of the vigilance of our police? Is it because science has taught us to be unbelievers in ghosts and monsters? Or is not some thanks due the Church, which after a millennium of warfare succeeded at long last in clearing the atmosphere of its charge of hidden terror and thus allowed for the completer unfolding of the human ego?" The story starts with the ominous birth of a boy (on Christmas Eve) to a young servant girl, who has been raped by a priest. The woman is a maid in the house of Aymar Galliez. Aymar raises the boy as his own and soon begins to realize something is terribly wrong with him. With long curves fingernails, eyebrows that meet and hair on his palms, Bertrand resembles his father, the wayward priest Pitamont and is a descendant of the curse Pitamont clan, who spread evil wherever they went. As Bertrand grows up, he begins to have nightmares of running free in the wild, chasing and being chased and his step-uncle realizes with growing terror that the mystery behind the disappearing wayfarers and mauled livestock lives in his own house. Bertrand, in spite of his Aymar's continued efforts to lock him up, escapes his home and runs off to Paris. The account follows Bertrand's struggles to calm the beast inside him. Set in France, the story has its gory ending during the fall of the Paris Commune.
" When the body of a man weakens, the soul of that man begins to detach itself from the tentacles of flesh and prepares itself to fly off the instant the body dies. (...) It happens occasionally that the soul of a beast gains entrance into a man's body while he yet lives. Then the two souls war with each other. The soul of this man may depart completely and leave only that of the beast behind. And that explains how there are men in this world who are only monsters in disguise, playing for a moment at being men, the kings of creation. Just as a servant plays with his master's clothes." My Thoughts: This book is nothing like I expected. The great combination of horror and historical fiction makes it thoroughly engaging. Apart from being a very exciting read, the book gives a glimpse into this brutal time in the French history, with characters who were actually there then. It is hard to distinguish fiction from fact and the blend of fantasy and reality adds to the horror. The book is filled with endless horror, gore and gruesome death, but it is so much more than just another tale starring some supernatural creature. The book, with its social commentary and metaphors reminded me constantly of Stoker's Dracula. We are shown, throughout the book, how inherent violence is in man. 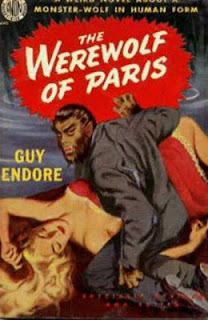 The werewolf is compared to the people of Paris who killed each other viciously right on the streets. The wolf appears more to be a victim of his own intrinsic and uncontrollable violent urges rather than a monster. The book is written in a very frank, precise manner, which was, for me, one of the best things about it. The narration does become incredibly gloomy at times, but it's a short book and can be read in one sitting. The Werewolf of Paris is undoubtedly a great book and and I am sure I will read it again. This was the first book I finished reading as part of the R.I.P. VII Challenge Peril the First! (Although, on a side note, I'm also considering it for the Back to The Classics Challenge.) I say finished, because I have been reading The Terror by Dan Simmons for the past week, but it's just a really very long book! This is also the first time I have read any werewolf fiction, and I have to say, I liked it. Would you recommend any books on werewolves or similarly terrifying supernatural creatures? I like stories, always have. I like to imagine incidents, create stories behind pictures. A simple newspaper article tends to run like a screenplay in my head, with characters, aesthetic details, dialogues and adverbs. I have always loved fiction, from Enid Blyton to Tolstoy - novels, short stories, novellas, plays. "I read fiction to escape reality." I have heard people say this so many times and it always confuses me. It may make sense, if they were only talking about fantasy fiction: but even then, I always tend to draw parallels between stories and real life and that's what I enjoy the most about fiction. It brings me closer to real life. For me, fiction is the best way to send across a message or to present theories, philosophies, ideas. The way I see it, fiction is information set into a pattern that we can easily recognize and relate to. It's like the examples given following every explanation in my textbooks. I have managed to learn a lot more about the practices of magic, the spirits and occult and such from all the tonnes of fantasy fiction I've read, than I did from books like A General Theory of Magic or The Three Books of Occult Philosophy. I learnt a lot about the world around me through fiction, science from science fiction and history from historical fiction, politics, economics - not to mention, discovered the way people think and act, right and wrong, morals, beliefs and ideals and what not from "mere story books". Real life is so much like fiction, I wonder which one is based on which. I see things and people as characters I've read about. (I've been thinking a lot about Peter Pan and the whole "not wanting to grow up" since my last birthday.) Strangely, for me, reading any kind of fiction offers some sort of comfort, actual joy or hope or simply a feeling of catharsis. It provides me with a new perspective on things that I am used to considering in a specific way, opens up my mind, allows me to imagine a better real life, helps me form opinions, makes me think. So many people say that fiction leaves them feeling like it wasn't worth their time or that they didn't learn anything new. Consider this: I place myself in the shoes of every character (every protagonist, at least) in every story I read, imagine how I would act (what I would think) in the situations he faces. Fiction may not always provide me with a list of ten facts to remember, but I think, overtime, I gain as much by idly mulling over fictional accounts as I would by gulping down non-fiction. Lastly, of course, fiction is imaginative, it shows instead of telling, it paints pictures, doesn't preach and it is certainly entertaining. I do enjoy a good non-fiction from time to time, but at the end of the day I always find myself returning to a nice little novel. I participated in the R. I. P. (hosted at Stainless Steel Droppings) Challenge last year and read spent two months discovering some of the greatest authors. 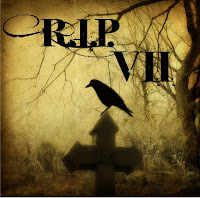 The point of the R.I.P Challenge is to enjoy books that could be classified as: Mystery, Suspense, Thriller, Dark Fantasy, Gothic, Horror, Supernatural. R.I.P. VII runs from September 1st through October 31st. I am signing up for Peril the First, which means reading four books of R.I.P. literature and am also taking part in Peril of the Group Read. I might add a few Perils of the Short Story! 1. 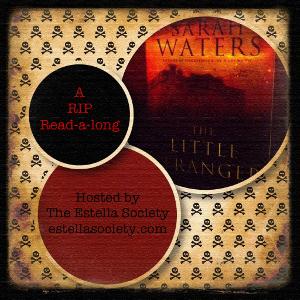 The Little Stranger by Sarah Waters: This readalong is hosted at The Estella Society. You can sign up for it right here. I haven't planned what I'm going to read, my only goal is to to try new authors!